Bill in his early years. Bill Spiewak and Associates is a small consulting practice under my cooperate canopy, Arboricultural Services, Inc. I feel extremely fortunate to have achieved a level of expertise subsequent to more than thirty years (so far) of an incredible and challenging career in arboriculture. After my formative years on the east coast including two years at Northeastern University in Boston and a semester at a community college on Long Island, I uprooted and planted myself in California in 1975. 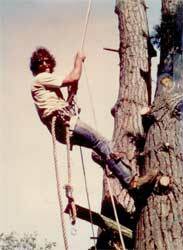 My career evolved, first as a partner in a small tree business for about a year, and then the entrepreneur of my own company, Bill’s Tree Care, in 1979. In the meantime, I met the love of my life, married, and raised my wonderful daughters. 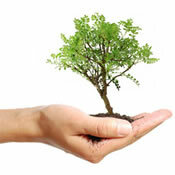 As my root system became established, my career grew, and my life blossomed. Ever since my early years, I’ve been actively in pursuit of achieving an advanced level of knowledge and professionalism. I attended Ventura College and completed Santa Barbara City College with an Associates of Arts Degree in Biology. 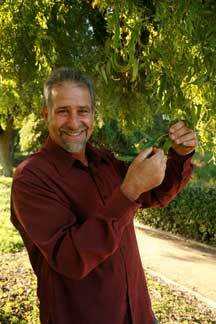 In the mid 1990s I was invited to teach Landscape Tree Care (currently called Arboriculture) at Santa Barbara City College, where I continue to teach today. In addition, I have attained the status of Board Certified Master Arborist #310B though the International Society of Arboriculture and Registered Consulting Arborist #381 through the American Society of Consulting Arborists. In 2007 I sold my well-established and respected Bill’s Tree Care to the Bartlett Tree Experts, to pursue a full time consulting practice. Bill with Dr. Alex Shigo at a workshop in the late 1980s. I’ve been inspired and taught by some great mentors in the arboriculture field, and developed hundreds of cooperative relationships with tree workers, arborists and other professionals, throughout local and international communities. As I continue to pursue my career in this challenging and rewarding field, I hope to share my abilities and lessons with those that are interested and in need of my services. I strive to provide the best consulting practice I can: based on science, education, integrity, professional credibility, and over thirty years of practical experience.